Red, white, and tan mushrooms on a taupe background. 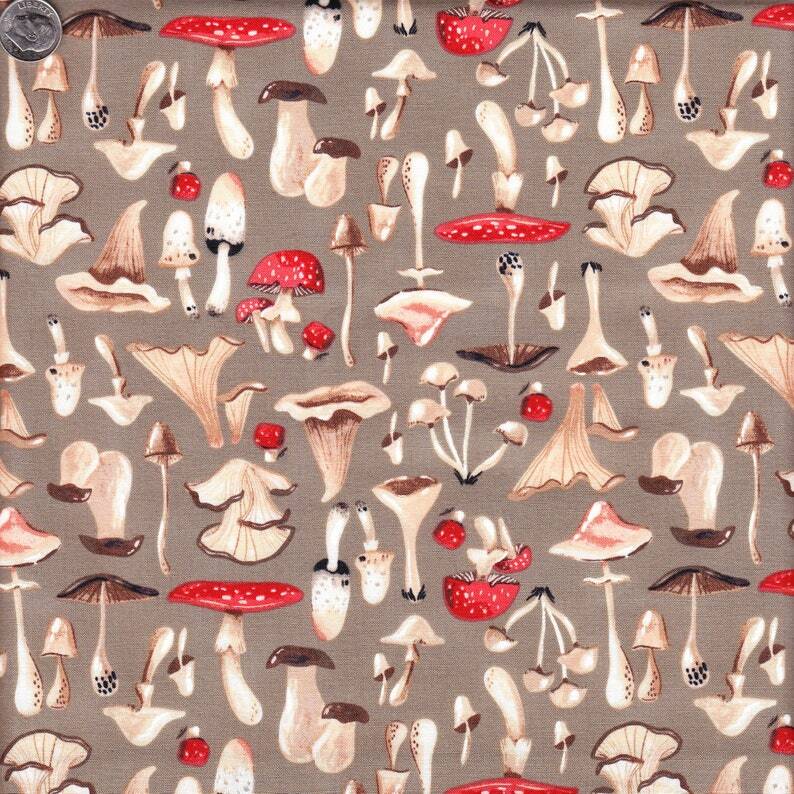 Designed by Rae Ritchie for the Natural History collection by Dear Stella Designs, printed on 100% woven cotton. Half-yard length (18") x 43/44" wide. Adorable fabric! Excellent seller and fast shipping.